It has been a full year since we began to post our Michigan Urology Department monthly global email called “What’s New” on this blog, labeled “Matula Thoughts,” as explained in our first posting. The blog format allows the postings to be kept chronologically (so I can try to prevent repetition) and it doesn’t clutter up email. While much more relevant detail about our department, faculty, and personnel is found in our weekly internal “What’s New,” Matula Thoughts, on the first Friday of each month, ranges further afield with around a dozen items related to our department, history in general, or issues of the day. Mainly, I write this because I like to collect and connect ideas, events, and thoughts even if many seem unrelated directly to our specialty. If you read this, I thank you for your interest and invite your comments. We take for granted today’s world of scientific specialty-based medicine, but it’s worthwhile to occasionally reflect on the past. Genitourinary surgeons, as urologists previously described themselves, found a big part of their daily work related to communicable diseases, particularly venereal diseases. Today, other specialties have picked up a large part of this burden and urologists have moved off of the front lines of communicable disease for the most part. While C. difficile has refocused our attention recently, hand washing routines, antisepsis, asepsis, antibiotics, and immunization underpin our work every day. This arduous winter may have occasionally flagged our spirits, but spring is in the air with many of its harbingers. Flu season should be winding down. In the US the season usually begins in October, peaks in January-February, and ends around May. Infectious diseases still account for significant human misery and mortality, but vaccination and antibiotics have hugely reduced the toll. Vaccination has been pretty well shown to be effective in mitigating disease for the past 2 centuries although influenza challenges us with novel presentations of the viruses each season. Still, it amazes me that our employee vaccination rate at the UM health system is only 86%. Conspiracy theories, myths, and individual fears (and a few rare true allergies) seem to account for the gap from 100%. More amazing to me is the infrequent deployment of handkerchiefs for sneezing and coughing. If I ever get arrested for assault it will likely be on an airplane when the person next to me sneezes in the open one too many times. Handwashing is a good thing after a sneeze, cough, or even for random reasons. Amazingly, in our new Mott it is hard to find free sinks for this use. Influenza is transmitted by viruses, and the alcohol-based hand lotions are useless against them (also useless for Clostridial spores, as well as most garden variety bacteria). Anyway, my advice in this concluding flu season, for next season, and in between – buy some handkerchiefs, carry some kleenex, and wash your hands compulsively. The simplest solutions are usually quite effective. For centuries we have known that many diseases are contagious. Flags were routinely flown from ships to warn a town that disease was on board. The idea of quarantine comes from 17th century Venetian term quaranta, indicating the 40-day waiting period on ship to be certain that no active communicable disease was present before disembarking. Yellow flags have a long history of marking locations of disease, although green, black, or even a skull’s head have been used. The Lima (L) flag, or yellow jack is still in use, although yellow jack was also a name for yellow fever. A plain yellow flag (Quebec or Q) may have also been so used in the past, but as meanings change with the times, today a plain yellow Q flag means a ship is free of disease and can be routinely boarded and freely disembarked. We are somewhat insulated from the stark terror that infectious diseases inflicted on populations, not so long ago. A gathering storm of Ebola virus or renewed treachery from influenza may resurrect the ancient panics of lethal infectious diseases. Our colleague Howard Markel in the department of Pediatrics, wrote an excellent book called Quarantine! in 1997, that is well worth a place on your shelf. Immunization has had a profound effect on history. Edward Jenner is assigned priority in the story of vaccination, although others even centuries earlier understood its potential intuitively and utilized inoculation principles empirically. But Jenner was methodical, communicated his ideas well, and gets the credit for smallpox vaccination in 1796. Smallpox was a terrible disease, apparently wiping out much of the indigenous American population after European explorers brought the virus over across the Atlantic. Well after Jenner, the disease persisted and it has been estimated that in the 20th century alone smallpox killed 500 million people. The last natural case of smallpox was diagnosed in 1979, and it is believed now to be totally eradicated. Speaking of flags, Congress on this date, 4 April 1818, adopted a national flag standard with 13 alternating red and white stripes (for each of the original colonies) and a star for each of the 20 states at the time. This was the suggestion of U.S. Naval Captain Reid with a new star to be added for each new state. 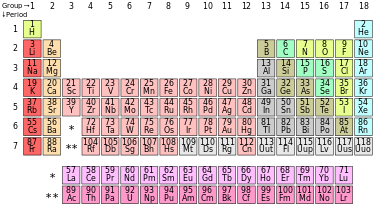 Up to then then no official standard existed and the number of stripes had grown to 15 with no particular arrangement of the stars specified. A number of variants were then in use including the circular arrangement of stars of the so-called Betsy Ross flag. The blue square, by the way, is called “the canton” in flag-speak and even Reid’s model allowed variable arrangements in the canton. At that point in time the University of Michigan was only one year old and its next 21 years of operation in Detroit would be significantly interrupted by cholera epidemics until the move to Ann Arbor. No medical school existed at the university in those years (although one had been envisioned from the start) and urology as a field was represented mainly by uroscopy and lithotomy in the hands of self-styled experts. Some questions of priority, such as the chicken and egg, will likely be matters of debate for time eternal, whereas others are deciphered through historical study or modern scientific method. As an alumnus of Walter Reed Army Medical Center, the yellow fever story has been a matter of interest to me, not just for its influence on public health, but also for its priority in establishing insects as disease vectors. So as I was recently investigating a series of early American medical student theses concerning genitourinary conditions I was surprised to find that priority challenged. Yellow fever was the first illness shown to be transmissible via filtered human serum and transmitted by mosquitoes, and it was Reed who led this effort to contain it around 1900. The disease is caused by the yellow fever RNA virus of the family Flaviviridae. The story I knew went back to Carlos Finlay, a Cuban physician (graduate of Jefferson Medical College 1853), who “first” proposed in 1881 that yellow fever might be transmitted by mosquitoes rather than direct human contact. Yellow fever was a big problem in early American history. A Philadelphia epidemic in 1793, then capital of the United States, killed nearly ten percent of the population causing the national government including President Washington to flee the city. Subsequent epidemics devastated Baltimore, New York, Charleston, Shreveport, and Memphis to name some hard-hit locations. Since the losses from yellow fever in the Spanish-American War in the 1890s were extremely high, Army doctors began research experiments with a team led by Walter Reed. Their work proved Finlay’s ″Mosquito Hypothesis″. Yellow fever was thus the first virus proven transmitted by mosquitoes. Reed fully credited Finlay with the idea for the yellow fever vector. William Gorgas MD applied these principles, eradicated yellow fever from Havana, and then combated yellow fever during the Panama Canal construction, after the previous French effort failed largely due to yellow fever and malaria. So it was a big surprise to me to come across a now obscure paper from 1848 by Josiah Clark Nott entitled: Yellow Fever contrasted with Bilious Fever – Reasons for believing it a disease sui generis – Its mode of Propagation – Remote Cause – Probable insect or animalcular origin, etc. [New Orleans Med Surg J 4:563-601, 1848] Not quick himself to claim priority, Nott wrote “There is no novelty in the doctrine of Insect or Animalcular origin of diseases. Many of the older writers, amongst who are conspicuous Linnaeus, Kircher, and Nyander, have promulgated such an opinion, and …” Nott, a paragraph later said this: “As far as doctrines are concerned in the history of Medicine is little more than a recital of successive delusions, and we have too much reason to know, that it takes almost as much time to uproot a false medical doctrine as a false religion, when it has once seized upon the public mind.” He then discusses the false doctrine of miasma, or bad air, as the putative cause of malaria since the days of Hippocrates. A few years after writing this paper, Nott lost 4 of his own children to yellow fever within a six day period. As I was tracing the curious career of Nott, I was amazed to find the coincidence of the fact that as a general practitioner in 1854 he delivered an infant boy who would be named William Gorgas. Today, April 4, also marks the date in 1968 when Martin Luther King, Jr. was shot and killed in Memphis. Of relevance to this is a recent book review that is among the best reviews I’ve ever read and it is called “The scholar who shaped history” by Drew Gilpin Faust [The New York Review of Books, March 20, 2014]. The book featured is the third in a series produced by Professor David Brion Davis of Yale University, a man quite fortunate in that luck and excellent public health gave him the opportunity at age 88 to complete his great trilogy. This third book in the set is called The Problem of Slavery in the Age of Emancipation, and while you probably won’t read the entire 422 pages of it, let alone Davis’ previous two books, you should read the 2 pages or so of Professor Faust, herself an astonishing intellect. For those friends of Michigan Urology who will be in Florida for the American Urological Association annual meeting in May, please stop by our Michigan Nesbit Society Reception where you will see our flag, in one or more of its iterations, on display that Sunday evening on the 18th at the Hilton Orlando Sun Garden. RSVPs are helpful so please let Sandy Heskett know at sheskett@umich.edu. The days of winter are counting down now that March is here. It has been a curious season of drastic shifts in weather, highlighted by the Polar Vortex. Last month in “Matula Thoughts” we touched on Norse mythology and today want to include some Norse reality, specifically Roald Amundsen, the polar explorer and man of many firsts. 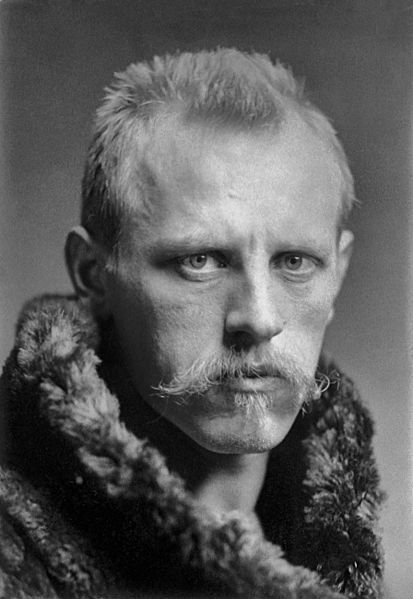 Born as a fourth son in 1872 to a family of ship owners and captains in Borge, in the United Kingdoms of Sweden and Norway, his mother hoped for him to avoid the family business. As a young man he promised her he would become a physician, but after she died when he was 21 he quit his studies and went to sea. He made his mark early and became first mate on the Belgica in the first expedition to winter in Antarctica (winter of 1898-99). He then led the first expedition to traverse Canada’s Northwest Passage (1903-1906). Arriving in Nome in 1906 Amundsen learned that Norway had just become independent of Sweden and he sent the new Norwegian King a patriotic note regarding the expedition’s success. 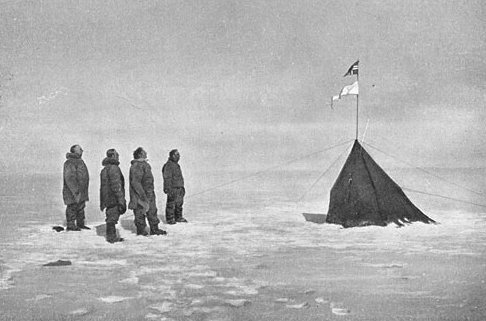 Amundsen’s 1911 Antarctic expedition was the first to reach the South Pole (but lacking satellite phone technology the world didn’t learn of the fact until this very day March 7, 1912). His 1926 Arctic expedition was the first to indisputably reach the North Pole. Earlier claims from others were controversial, but the 16 man-expedition with Amundsen as leader and navigator was the first as their hydrogen-filled semi-rigid airship, the Norge, on May 12, 1926 flew directly over the North Pole. Amundsen disappeared in an Arctic rescue mission in June 1928. One can only marvel at the Norse Human Element and speculate what Amundsen’s curiosity might have elicited had he focused on medicine. 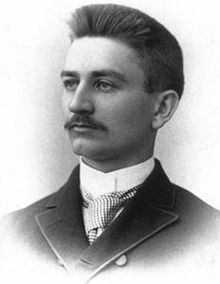 Herbert Dow was born February 26, 1866) in Canada, and after early childhood in Connecticut, he grew up in Cleveland, where he attended the Case School of Applied Science. His interest in chemistry led to the study of underground brines, and his discovery that groundwaters in Canton, Ohio and Midland, Michigan were unusually rich in bromine, an important ingredient in medicines and the merging photography business. 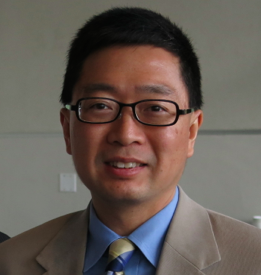 A year after graduation he obtained a patent for a process to extract bromine and expanded his electrolysis methods to produce chlorine and other products. In 1897 he founded the Dow Chemical Company in Midland and the company stands today as one of the great global businesses. Dow died in 1930 and his widow Grace in 1936 established the Herbert H. and Grace A. Dow Foundation. You may have seen the Dow diamond logo last month as one of the partners in the Olympic & Paralympic Games. Our Urology Department at the University of Michigan owes a large debt to the Dow name, for it was the Herbert H. and Grace A. Dow Foundation that delivered us from the trailer. By this I mean our fledging Health Services Research (HSR) Division, created by Jim Montie and inaugurated by John Wei started out in a part (709 sq. ft.) of the “temporary” trailer adjacent to our old Women’s Hospital. The trailer still stands, just like the fabled Hewlett-Packard Garage in Palo Alto (that too has relevance to the University of Michigan Medical School). The Dow Foundation generosity allowed our HSR Division to move into much more favorable space in the Martin Corporation’s Michigan House (4600 sq. ft.). This beautiful endowment propelled our Dow HSR Division into the intellectual stratosphere, educating the leaders and best of the next generation of educators, investigators, and clinicians in urology. Success creates a new set of issues and under the successive leadership of Brent Hollenbeck our Dow HSR Division outgrew even that ample space in the Michigan House, causing recent relocation to more spacious room for growth in Building 16 at our North Campus Research Complex (NCRC). 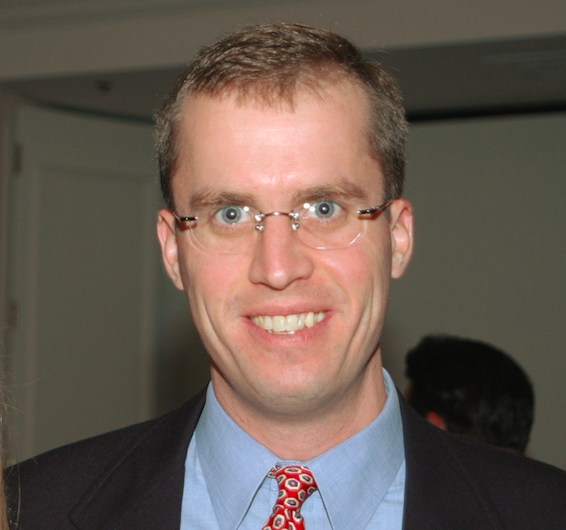 David Miller now heads our Dow HSR Division, leading a talented team to ask and answer important questions related to how we deliver urological care. What is the “right” treatment for an individual patient? When and where are the optimal times and places for treatments? How should society allocate costs of urologic healthcare? Our patterns of practice must be dissected and rebuilt even as health care practice is changing in front of our eyes. The Dow HSR has stimulated a cadre of superb students, residents, fellows, and faculty who are asking good questions and finding important answers. 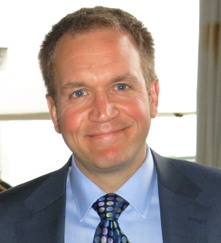 Their work has attracted serious attention of policy makers, scientists, and care providers. A number of years ago The Lancet had a curious Editorial entitled “What is the point of surgery?” and that question has stuck in my mind. [The Lancet 376:1025, 2010] I put the article in a folder of “curious thoughts” and the following year added another paper to it: “What patients really want from health care” by Allan Detsky. [JAMA 306:2500, 2011] Detsky considered three levels of priority. The first level listed 9 items that the public wants most: restoring health when ill, timeliness, kindness, hope & certainty, the “three C’s” of continuity/choice/coordination, private room, no out of pocket costs, the best medicine, and finally medications & surgery. The second level priorities were; efficiency, aggregate-level statistics, equity, and to some extent transparency of conflict of interest. The lowest level of priority for patients consisted of two things: real cost and percent gap of GNP devoted to health care. Questions like these may once have seemed rude and pointless to proud ivory towers in academia, but today they are exactly what the public wants to know. Academic medical teams can answer these better than politicians and pundits. While Detsky among others can pose important questions like he did, the best answers and solutions will come from groups such our Dow HSR unit. Italian engineer Umberto Nobile, as a young man became an enthusiast of semi-rigid airships and after a period of work in Akron, Ohio with Goodyear, he returned to Italy to build a new airship. Hearing of this Amundsen developed a collaboration with Nobile to find the North Pole, naming his hydrogen filled airship the Norge. The actual flyover, however, turned into a “circus wagon in the sky” according to Amundsen. Nobile had brought his dog Titina, 12-pound Fox Terrier, aboard as ship’s mascot. 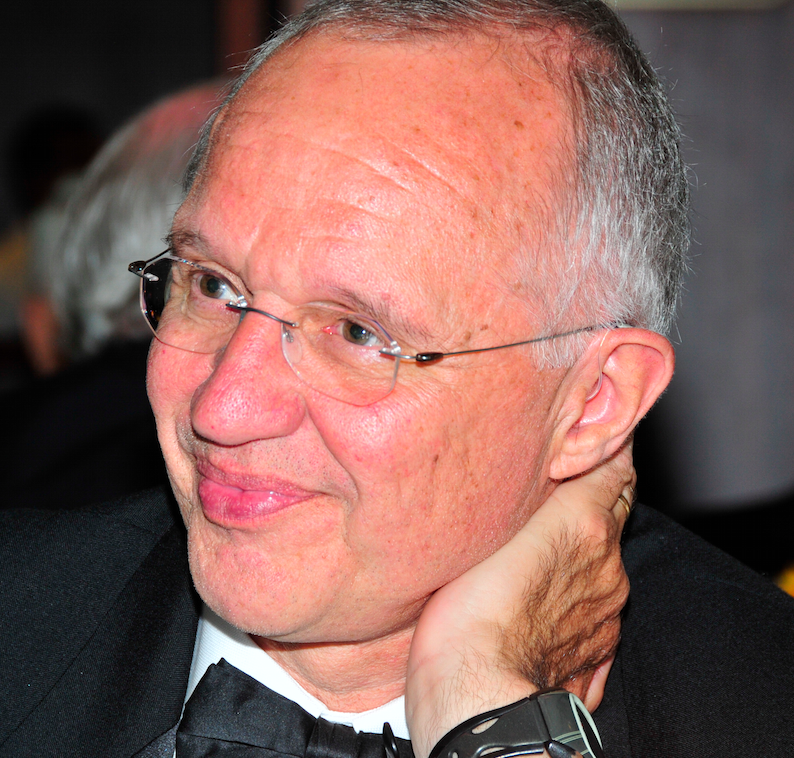 Nobile had rescued the starving puppy on a street in Rome only the year before. 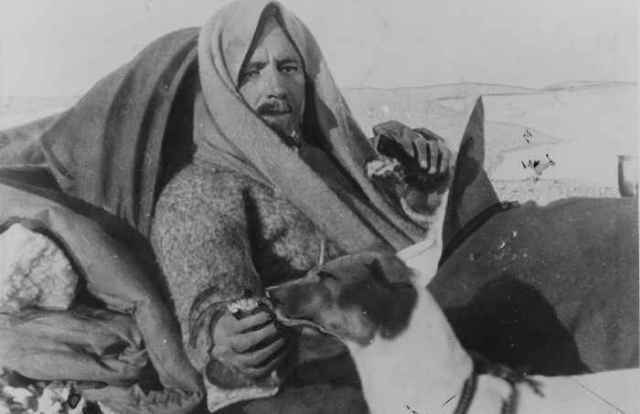 Amundsen was furious that his Italian partner had brought the dog along since the airship quarters were so cramped. Tensions increased when Amundsen noticed as the American, Italian, and Norwegian flags were dropped on the pole, the Italian flag was noticeably larger than the others. Although the expedition fueled national jealousies, it was the first to actually find the pole. Other expeditions that claimed the pole lacked navigational accuracy, and Admiral Richard Byrd’s alleged “fly-over” in a Fokker F-VII, the Josephine Ford (named for Edsel’s daughter) on May 9, 1926 turned out to be inaccurate, with falsification of navigational journal data. Titina proved to be a worthy companion for the grumpy explorers on the Norge and helped the human element remain moderately human throughout the difficult days of the journey. It’s difficult to escape the power of Dow’s metaphor of the human element. Companionship, of any kind – even canine or feline – maximizes the human element. Whatever forces (selfishness or selflessness) propel human curiosity to explore, innovate, and discover the net results have served our species in aggregate far more than serving the individuals. 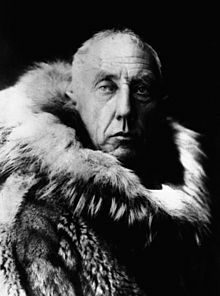 Amundsen died at 55 disappearing in the Arctic while flying on a rescue mission. The mission was to recover survivors of the crash on sea ice of the, Italia, another airship of Nobile who was on board with his companion Titina. On May 25, 1928 after a series of mishaps the Italia lost altitude and hit sea ice. The gondola smashed open, dumping supplies, nine personnel including Nobile, and Titina. Relieved of the weight, the airship rose with 6 crew still on board, drifted away and was never seen again. The survivors on the ice radioed for help. Several rescue missions set out to recover the crew over the ensuing weeks, but it was Amundsen’s group on a Latham 47 flying boat that disappeared on June 18. The Italia survivors were spotted by other rescuers on June 20, and saved in turns between June 23 and July 14. Nobile, Titan, and eight other crew members survived. Curiosity obviously has its downsides, and perhaps dogs are more durable than cats in polar explorations, but the future depends on human curiosity and innovation. Those of us in urological practice, science, and health services research have the advantage of extending our curiosity in safer and warmer environments. What’s next in urology? What’s the next North, South Pole, or Midland brine to be discovered for Uro-Oncology, Pediatric Urology, Neuropelvic Reconstructive Urology, Sexual Reproductive Urology, Health Services Research, or Urology in general? 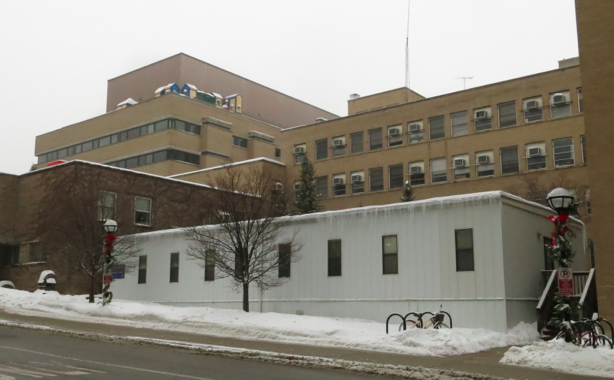 Michigan Urology has been a key player in pushing back many urologic frontiers since the time Hugh Cabot came to town in 1919 and placed Ann Arbor on the center stage of genitourinary surgical practice, research, and education. While it is inspiring to understand the history of one’s institution, every new generation, each new faculty cohort, each new residency and fellowship class must start anew from the baseline of knowledge and skills they find at entry to the profession. The spirit of exploration can get dampened by the necessities of every day’s work, but every generation has its leaders and best in whom curiosity is not just retained, but even energized by the annoyance of their confinements in their time, geography, and knowledge.